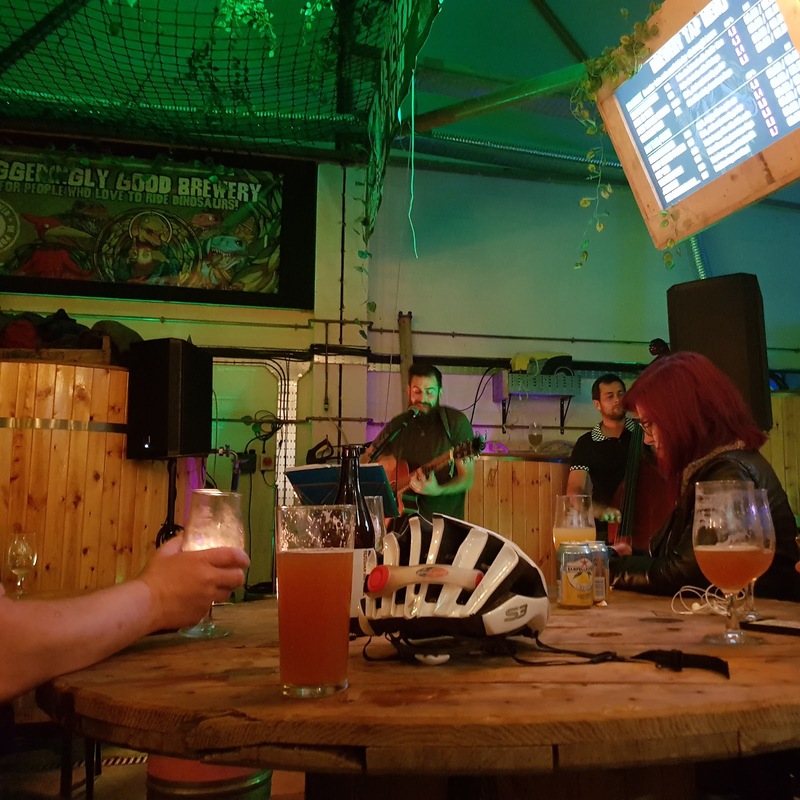 Last Thursday (28/09/17) saw me make only my second visit to the Staggeringly Good Taproom and about five minutes in I remember saying to myself "why haven't I been back here sooner!" Well that question was answered when I woke the following day feeling more that a little delicate. This is not the fault of Staggeringly Good, they are guilty of nothing more that producing amazingly drinkable beer and serving it in one of the coolest beer venues you'll find locally. 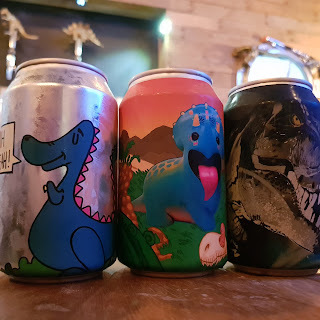 Based on Rodney Road (just about Southsea according to the map), the brewery taproom has been serving fresh dinobeer since early 2016 and it has fast established itself as a beer lover's dream. 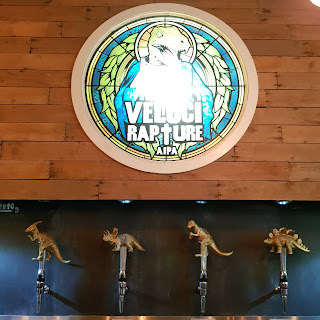 Such a cool tap wall! 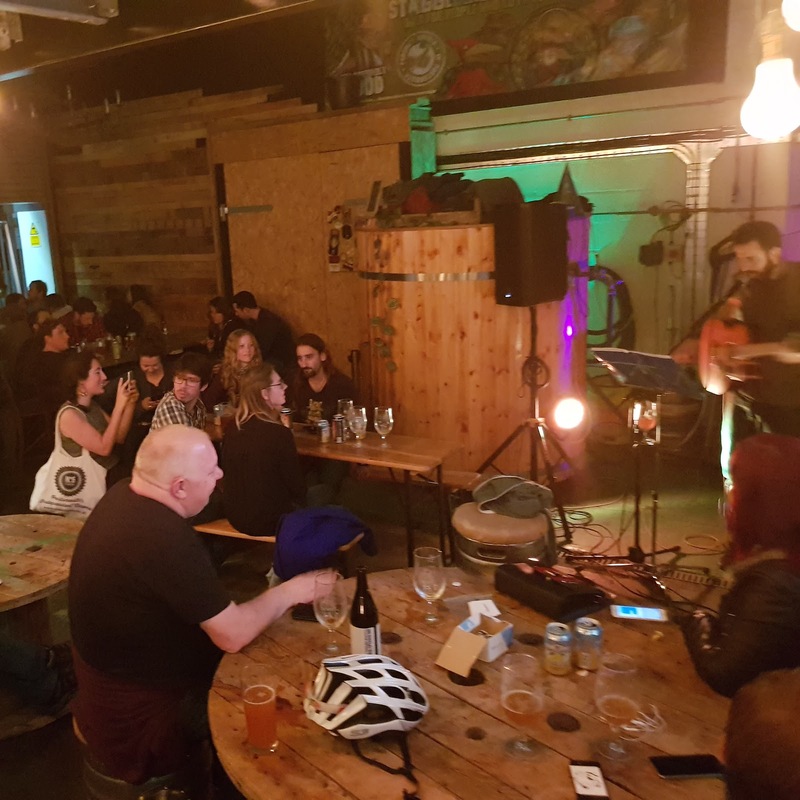 The last Thursday of every month is their Open Mic night where local musicians, poets and artists can showcase their talents, and then be rewarded with beer. 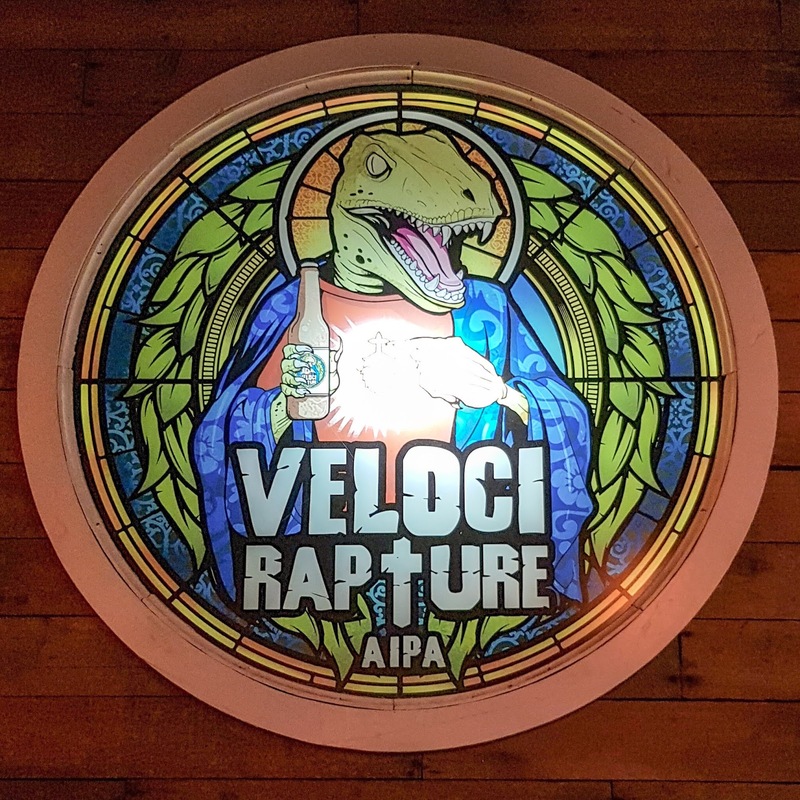 Following on from the amazing Jurassix DIPA project it's just another example of how Staggeringly Good embrace, nurture and promote the amazing wealth of creativity in the Portsmouth and Southsea area. I'd been hoping to get down to one of their Open Mic nights for a while so when the stars aligned and both me and some beer loving friends had a free Thursday night it was an ideal opportunity to pop along. On the beer front first up for me was a can of the most recent release of Hop Rod. 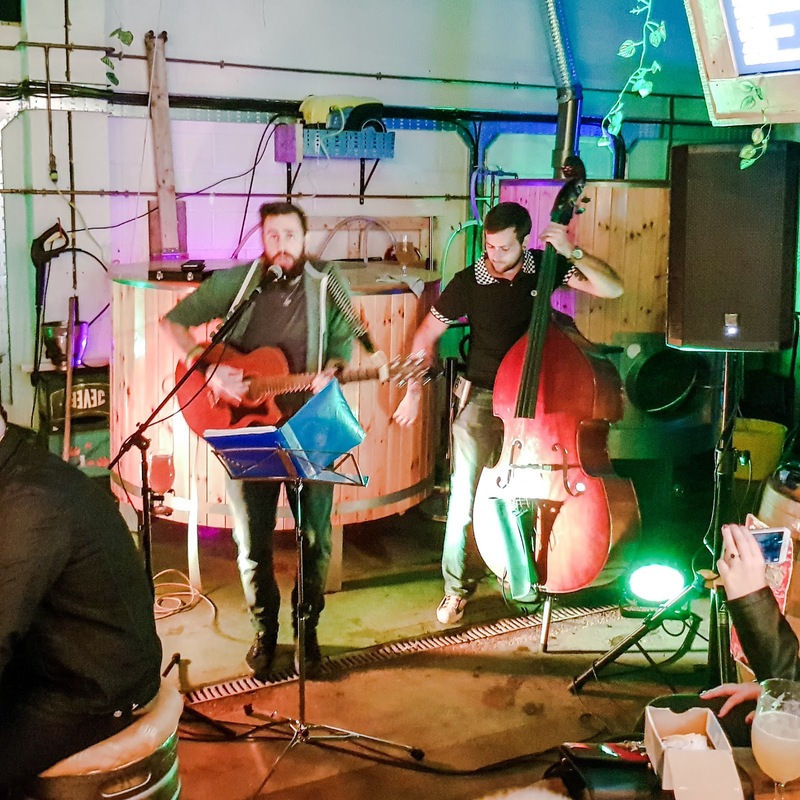 This hazy IPA is brewed for The Wine Vaults (another top Southsea beer venue) and superb; full of the tropical fruit flavours and smooth mouthfeel that you'd look for in a New England style IPA. After a couple of cans of "Rod" I moved onto the Jurrassix DIPA. 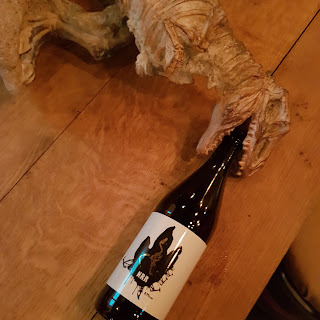 Even now, some three months after canning, this 8% Godzilla of a beer still tastes great and is far too easy drinking considering the hefty ABV. If you still haven't tried it I'd suggest getting down to the brewery and grabbing some before the last few cans become extinct. Finally we moved onto the last beer of the evening, but what a way to finish! 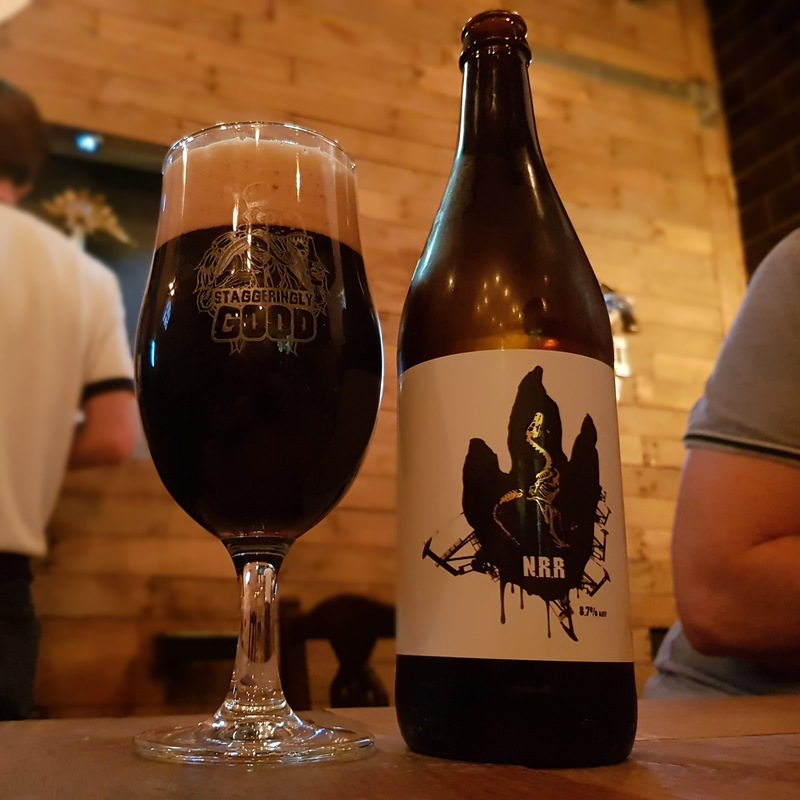 Non Renewable Resource is Staggeringly Good's new Bourbon Barrel Aged Imperial Stout and this glossy black boozy beast is the epitome of grown up drinking. At 8.7% abv and coming in 660ml bombers we thought we took the sensible choice by purchasing two and splitting them between the three of us. Well we were fools. 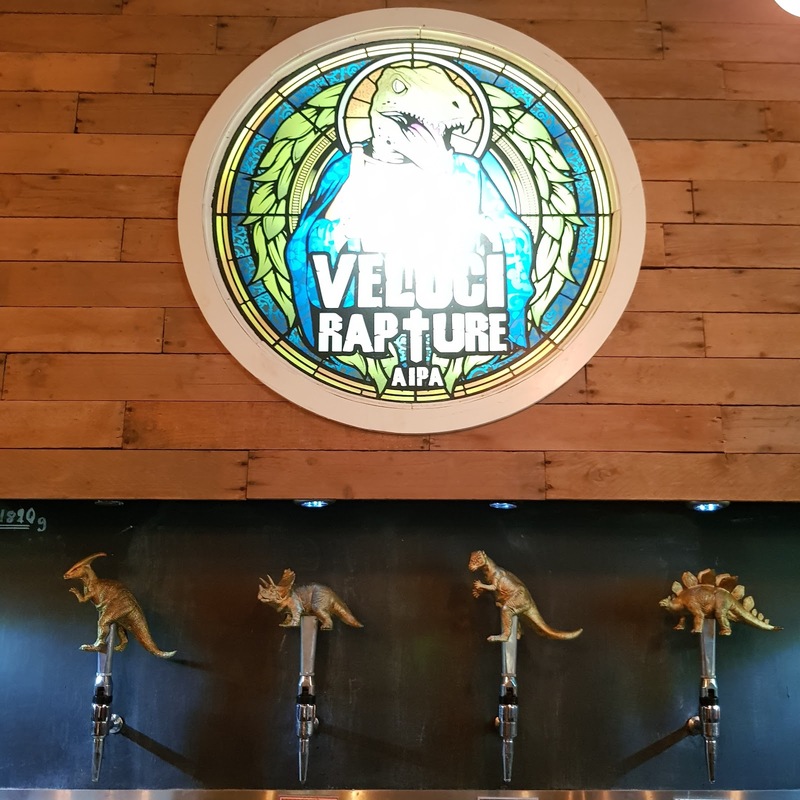 One would have been plenty, especially on top of the behemothic beers we'd already drank! So what about the entertainment? Well I'll start by taking of my hat to the two acts whose name I didn't catch. First up was a haunting acapella vocal performance; I didn't catch the lady's name and it was a song I did not know but it was a striking way to begin. Then there was a lone chap on his guitar who I thought was going to be all about an Ed Sheeran, Damian Rice kind of chilled out vibe but then shook the rafters with some genuine rock rage. But either side of the solo rocker was a two part set by local band Skaraman. I could try and describe them but I'd fear I'd do them a disservice. So, quoting direct from their very own facebook page, they are an "experimental acoustic duo project of Original and Cover tunes mixing sounds of Reggae and Ska with a hint of Jazz and Hip-Hop aromas." However you'd describe them, the sound that band members Mike and James produced on their guitar and upright base respectively was perfect for the night. From the moment they kicked off with their ska influenced Fugees cover I was hooked! And I'll apologise to them now for my drunken demands of multiple encores! For any readers that have hung around in hope or expectation of an eloquent summation of the night I'm afraid you're out of luck... my memories are, like the beer, a tad hazy. But I do know that as I gracefully stumbled out into the clear Autumnal Thursday night I knew I'd had a cracking night and despite the hangover, I won't leave it so long before I return. 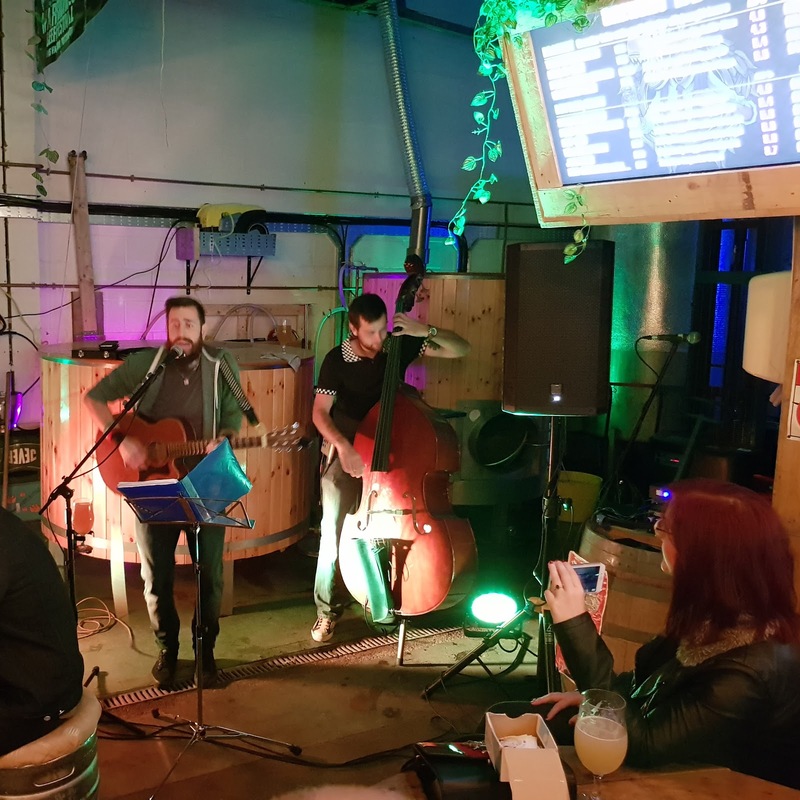 You can find Skaraman performing at pubs and venues around the area, follow them on facebook to keep up to date.